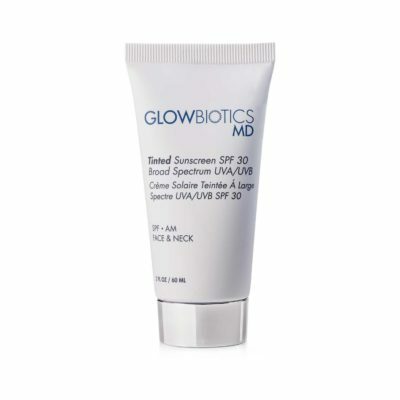 This double duty formula provides physical sunscreen protection while also serving as a tinted make-up primer. The unique silicone-base provides feather-light smoothness. 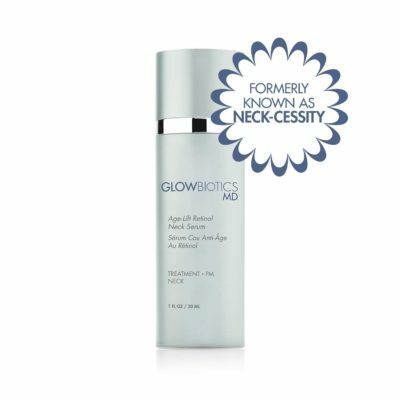 Glowbiotics MD NECK-CESSITY Anti-Aging Treatment Neck & Décolletage features an innovative intensive cocktail. Age-fighting ingredients that restore firmness and elasticity to damaged and sagging skin. Idealift peptides and retinols accelerate cell renewal as they promote collagen and elastin synthesis.